As a big fan of Earth Day I compile a weeks worth of posts to celebrate. 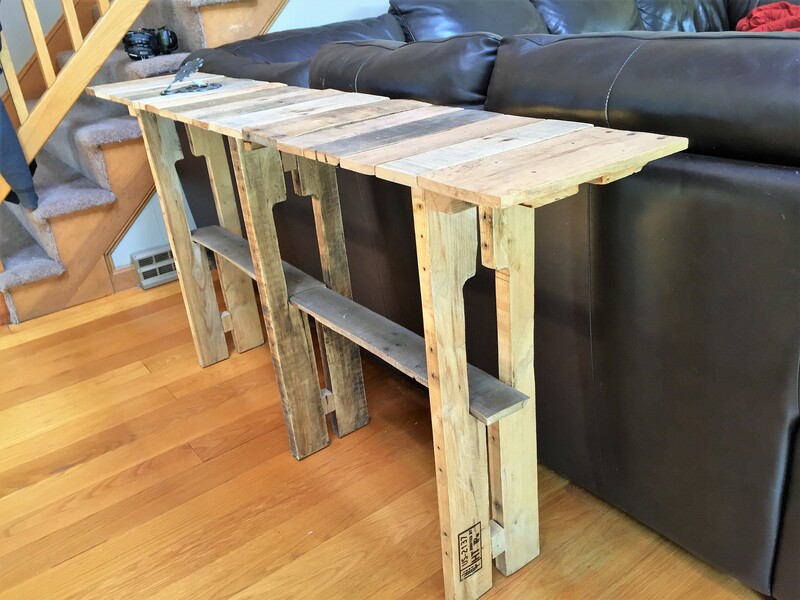 A few years ago I became a big fan of making things out of old pallets. I love the colors of rustic wood. I was picky about the pallets, looking mostly for hardwood and character. 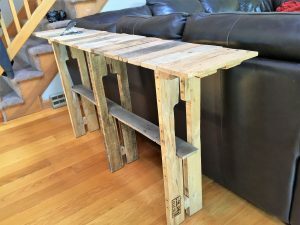 When I was trying to “square” the coffee table top, my buddy Tom at Make It Labs told me many pallets are treated wood. 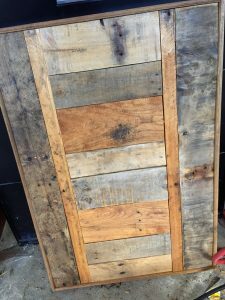 I did not know that, and this began the decline of my interest in pallets. That, and the pain in the katuckus to take them apart! Still finding nails throughout the basement my disassembly location. You won’t believe this! Home Depot is now selling disassembled pallets. Only $26.59! The style is wearing on me anyway, time to upcycle something else…there are quite a few hotel liquidation places in the Nashua area. Who knows, maybe my home is ready for something more upscale.